The warmer summer weather brings a lot of native insect activity, particularly the many native bees we get here in Western Australia. We have seen quite a few different kinds over the years, blue banded bees, resin bees, leaf cutter bees and these masked bees. 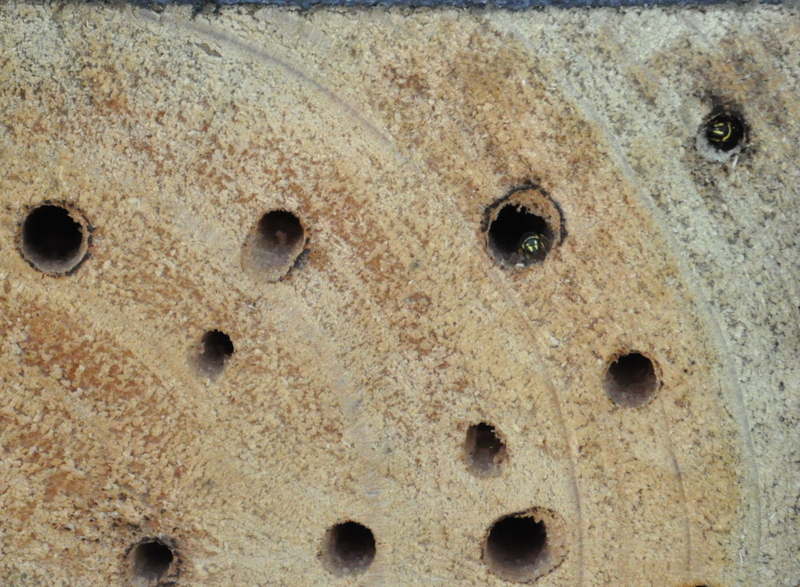 Today, I set the camera on a tripod n front of the latest bee hotel, pressed record and returned 15 minutes later to find the top hole completely sealed. The video is amazing, really showing the perseverance of this small insect (it is alas too big to post, so a snippet of the end is all that we can post).